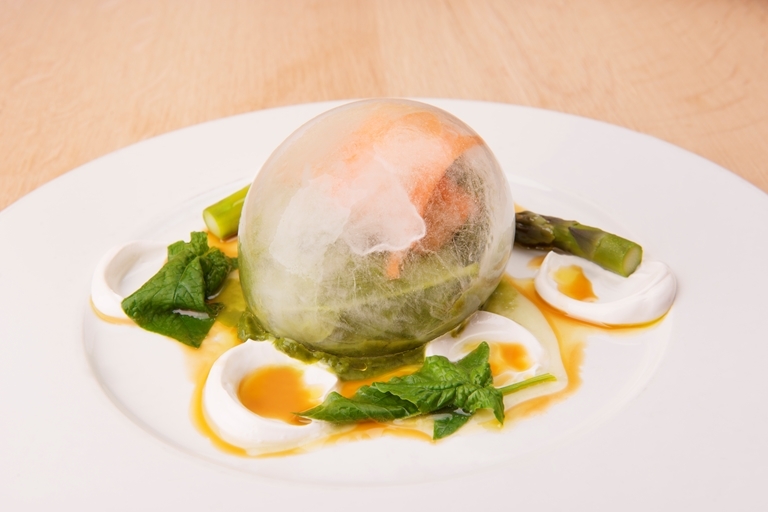 This spectacular vegetarian starter recipe by Fabrizio Marino features a hollow ice 'egg' as its centrepiece, and is a tribute to chef Tetsuya Hasegawa. 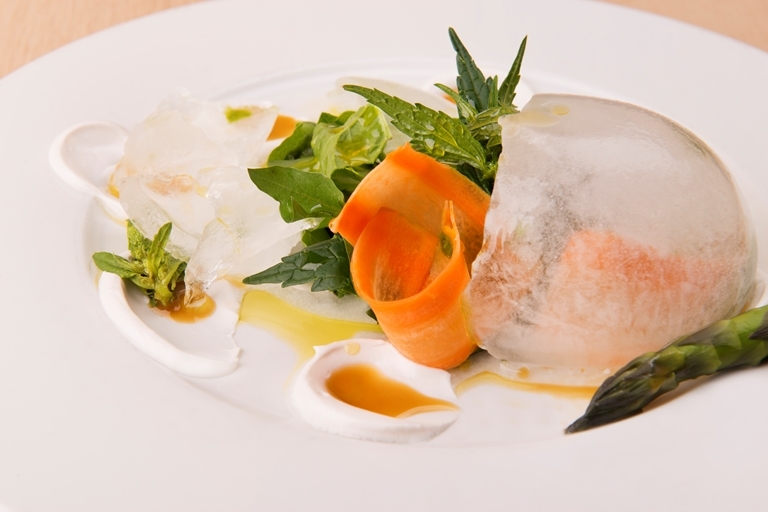 Hasegawa taught the chef 'about the use of natural elements' in dishes, thus inspiring this inventive presentation. It may look like a complicated dish to put together, but by completing the various components in stages the recipe becomes a lot less daunting and the impressive results will certainly make the extra effort feel worthwhile. Remember to begin at least a day in advance in order to prepare the hazelnut oil and soak the almonds for the curd.